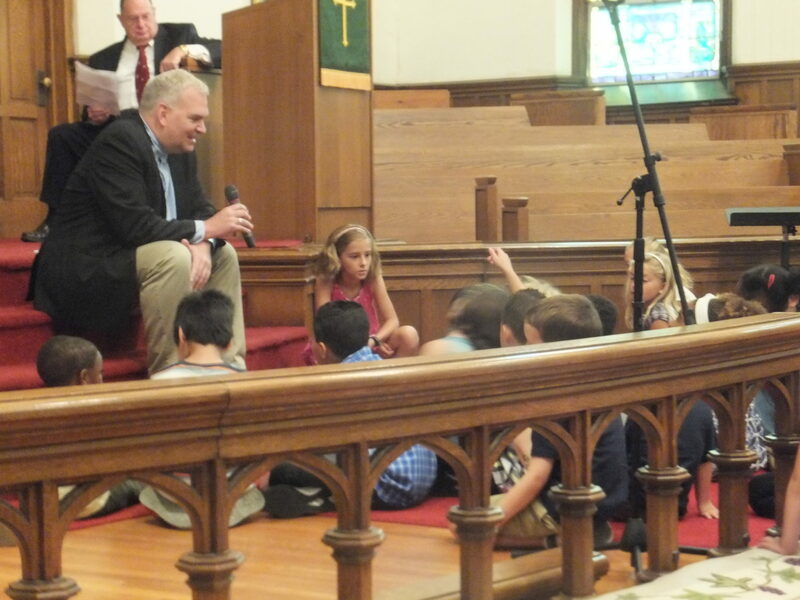 Tom Shelton gave the children’s sermon on Sunday — rejoicing in the new faces at the first choir rehearsal and inviting others to join on Wednesday afternoons. The opening hymn, I Love to Tell the Story, was so apt for Rally Day. As was the blessing and dedication for all the Sunday School teachers who were happy to welcome students to their class. A good start! This entry was posted in Children, Music, Worship, Youth Ministry and tagged children's choir, I Love to Tell the Story, Rally Day, Sunday School, Tom Shelton. Bookmark the permalink.